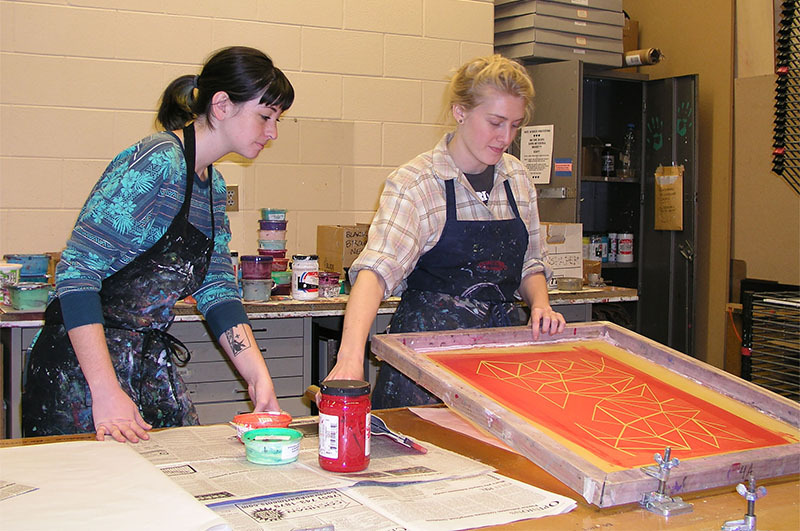 The 2D Extended Media program provides students with the aesthetic awareness, technical skills, and conceptual knowledge necessary to explore and express intellectual, social, personal, and political concepts in visual form within the 2D Extended Media concentrations of Painting, Printmaking, and Drawing. The 2D Extended Media program is multidisciplinary in nature and provides a solid foundation of conceptual and technical skills in art and emphasizes self-exploration and individual expression. 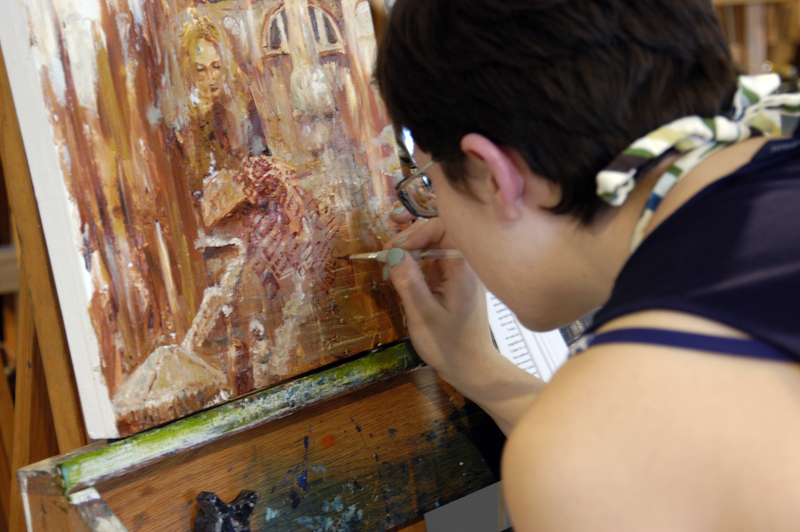 A multidisciplinary approach in the 2D Extended Media curriculum encourages students to explore their creative and expressive potential while they investigate both traditional and nontraditional methods and materials. The 2D Extended Media program also challenges students to explore art forms within a context of conceptual issues and critical thinking. 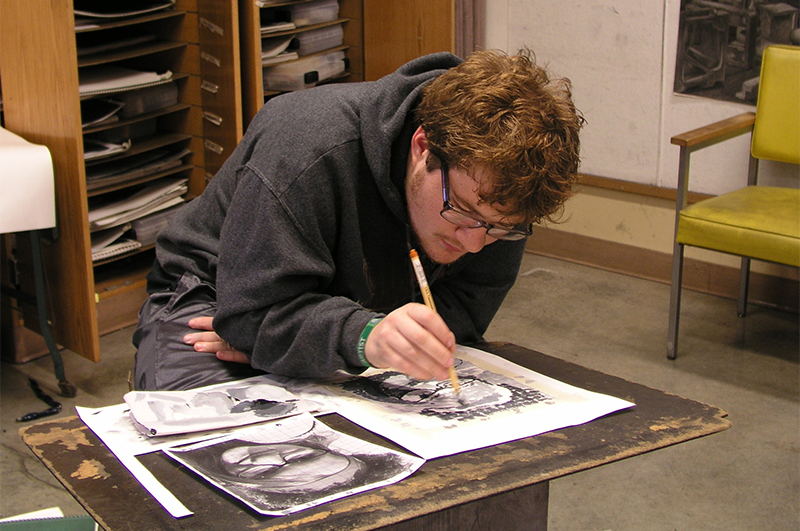 As a special track, students may choose an Interdisciplinary studio focus which allows them to work in close relationship with a faculty member to select courses outside of Art and Design (and possibly outside of the College of Liberal Arts) to bring together critical inquiry and artistic exploration. 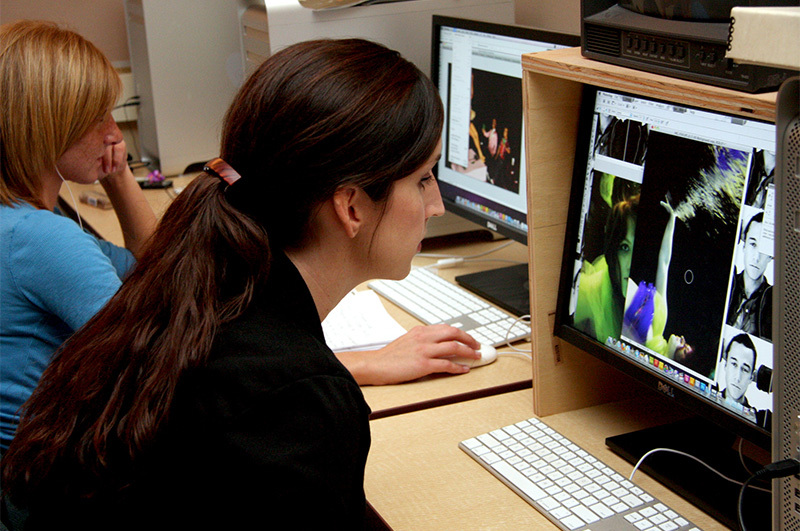 The freshman year in the 2D Extended Media program consists of the Integrated Studio Arts foundation experience that introduces students to a variety of foundation principles of artistic production and media (from 2D to 3D to time-based and interactive forms). 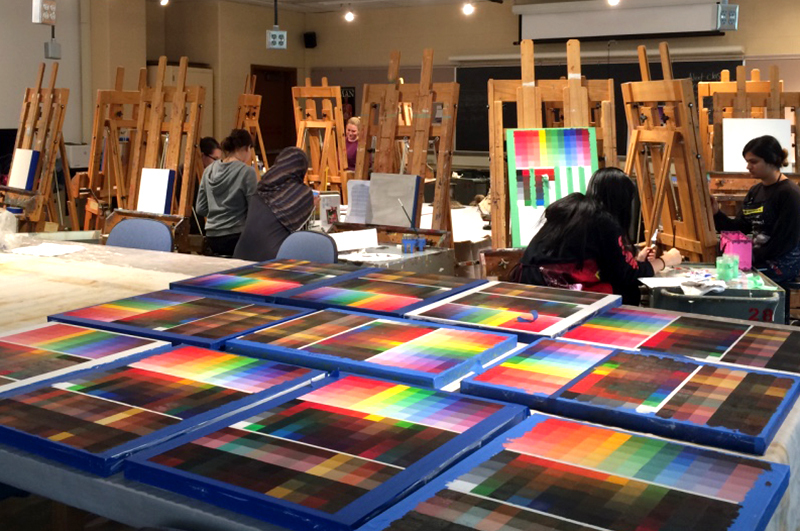 With the skills acquired in foundation classes, 2D Extended Media students focus on their artistic production in the core classes in Painting, Printmaking, and Drawing, effectively preparing them for their sophomore review at the end of the sophomore year. Applying the knowledge and experiences gained through the 2D Extended Media program, students create a focused body of work that is unified in direction, significant in degree of growth, innovative in creative problem solving, and accomplished in technical skill and degree of individual expression. The capstone experience for our BFA seniors in 2D Extended media is the Integrated Studio Arts Senior Exhibition, which is held in the departmental galleries. This exhibition provides students with the ability to design, produce, and exhibit their work, with the goal of preparing them for their professional artistic careers in the studio arts and related fields.